An optional non-rotatable third filter stage for the LMB 4x5. 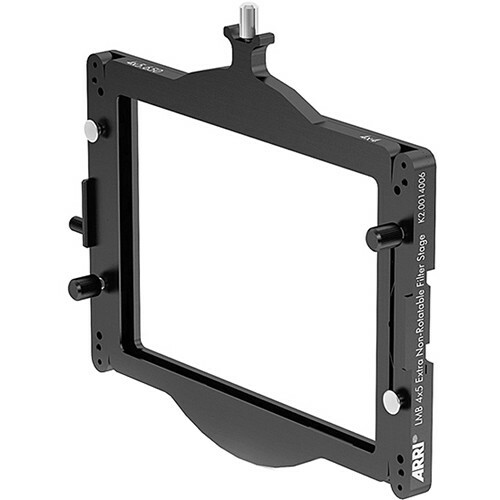 Can be used as a standalone filter stage with all LMB 4x5 clamp adapters. The LMB 4x5 sunshade can be mounted directly to the front of the filter stage. Box Dimensions (LxWxH) 7.0 x 5.0 x 0.25"